The subtitle reads: accounts of ghosts, spirits, and spooks along the shores of Lake Erie. Actually a couple of the stories stretch that definition a bit: Mansfield and Butler County are not anywhere close to the Lake. Ghosts on Gore Orphanage Road, Kelley’s Island, an immigrant worker entombed under the Lorain Lighthouse, a ghostly ticket taker at the Cedar Point carousel, a haunted winery at Geneva, ghosthunting at the Mansfield Reformatory, the phantom sheriff of Cuyahoga County, poltergeists of Shaker Heights, The icy ghosts of Rattlesnake Island. 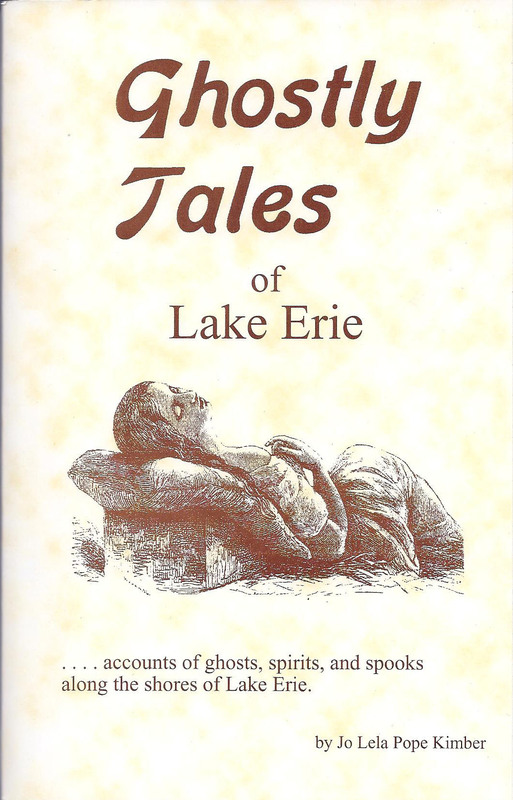 Erie Cemetery, a spirit bride at a Cleveland hotel, the lost child of Ashtabula County.